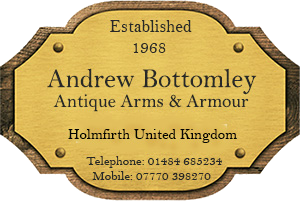 Listed below are a selection of various British and international antique firearms websites, antiques and collectors associations, gun collecting magazines and antique weapons exhibitions etc. The British Association for Shooting and Conservation is Britain's largest country shooting organisation with over 120,000 members. The Gun Trade Association is the UK's officially recognised body representing the legitimate sporting, recreational and professional gun trade. Its mission is to promote and protect the industry at all levels. Colt Collectors Association, PO Box 2241, Los Gatos, CA. 95031-2241,. The American Digger magazine for diggers and collectors of America's heritage. Civil War Data: www.civilwardata.com, has records on over 2,500,000 soldiers that served in the American Civil War. A wonderful place to begin research on a soldier who served in the US Civil war. www.antwerparmsfair.be . The Antwerp Arms Fair. The best show of its kind in Belgium. Many good dealers showing a great selection of goods.